The trading relationship between Scotland, Northern Ireland and Ireland is significant with a staggering 17% of total exports from Ireland heading to the UK, and Scottish exports to Ireland exceeding £1.1 billion in 2017. This trend is well on track to continue with Irish/Scottish trade increasing by 130% over the last five years. With so much potential for businesses on both sides of the Irish Sea to expand into new markets, is this something that all organisations should be exploring? Establishing whether or not exporting is right for your business involves careful consideration and advance research to allow you to make an informed decision. That’s where being a member of Causeway can help. Access to the Causeway membership database will enable you to identify which organisations closely align with your business, either through shared target audiences, sectors or area of expertise. Causeway’s numerous networking events gives business owners the opportunity to speak to knowledgeable leaders who have taken the export leap. This is invaluable as it allows you to fully understand what the future as an exporter to Scotland, Northern Ireland or Ireland could look like. There is no doubt that similarities, both culturally and historically, with our neighbours makes the prospect of entering the Ireland, Northern Ireland or Scotland market more palatable. However, this is not to say that there aren’t significant differences as to how we do business. The benefit of having Causeway committees and members in Scotland, Ireland and Northern Ireland allows members access to the local business community that can provide the support and the back-up of knowledgeable insiders who can help you develop a thorough understanding of the country, its people, and the opportunities it has to offer. Collaboration is the key to fostering economic ties between Scotland and Ireland and this is a key benefit of being a Causeway member. We are the only member organisation with a focus on supporting business growth in both Scotland, Ireland and Northern Ireland. Through thought-provoking content on the website, access to the membership database through the member portal and free access to the numerous networking events, Causeway members can build connections and opportunities for their business. There is of course a future beyond the current political and legislative turmoil, and it is clear, whatever the outcome, that Scotland and Ireland need each other to maintain economic success. Whether you’re already doing business across both sides of the Irish Sea, or just exploring the options, a Causeway membership can give your business a commercial advantage. 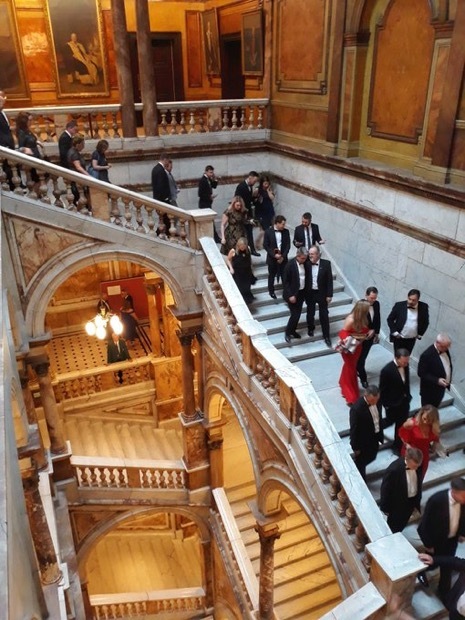 Meeting fellow professionals, sharing business ideas and hearing from business leaders in Scotland, Ireland and Northern Ireland can lead to exciting developments.